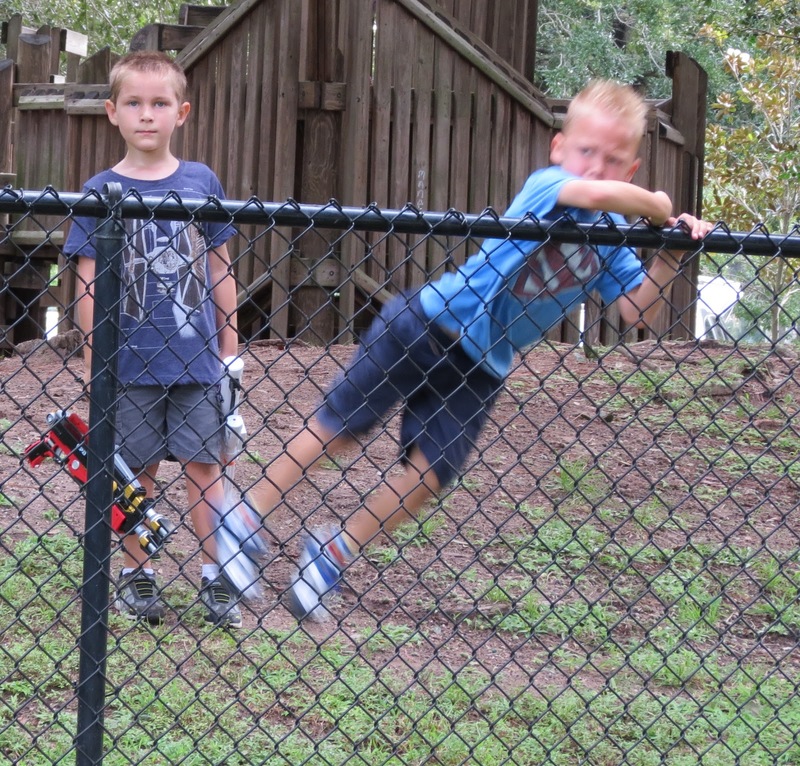 While on a weekend vacation in Winter Park, Florida, I watched these kids hard at play at the playground. 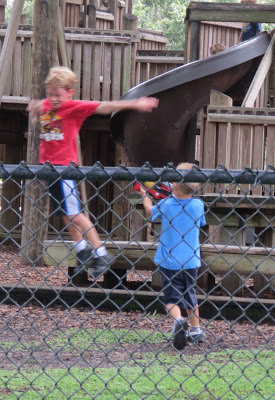 Have you ever noticed how exhilaration can defy gravity? Look at this boy's feet lift off the ground in a superman move. 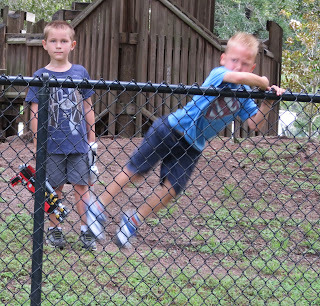 He leaps the fence in a single bound. The angels encourage us to enjoy life, and be like a child. Look for the simple pleasures. And get over yourself.